This article first published in Everyday Ayurveda 18 июня 2014 года. Более полная версия в издании Jyotish Digest Summer 2014.
who could clearly see the nature of things. “You all have immense knowledge and are confident in your understanding. which enjoys actions and their consequences and collects them. and disease comes through these six components. A human is born from a human, as a cow from a cow and a horse from a horse. Creatures are born from prior actions and diseases are born from prior actions. 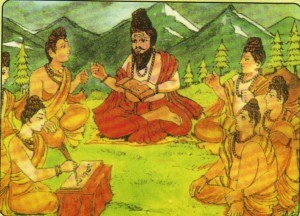 Kāṅkāya said it’s not like this because the initial results would already exist. 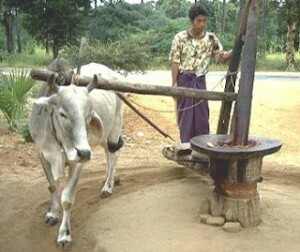 The Ox walks in a circle for hours crushing the oil out of seeds. The sages argue that their modality is the cause of the human being and his diseases. It is similar to a nutritionist saying that it is the food that is the cause of disease, while the chiropractor says the bone alignment is the cause of disease, and an energetic healer says it’s blockages in the energetic body causing disease. The conclusion is that all components that create who we are have the possibility of being out of alignment and malfunctioning. When the mechanism which creates us is functioning it creates health and that same factor malfunctioning creates disease. The soul is an aspect of the human beings that creates the ‘experience’ of life. When we live a life that is not in alignment with our soul purpose, then the soul doesn’t want to live in this body and misery and disease ensue. The mind is made of sattva and it becomes imbalanced by rajas and tamas, which lead to mental, emotional and eventually physical disease. In these cases, diseases caused by an unwholesome life or unwholesome emotions and require spiritual and mental guidance and therapies. The digestive nutrition (rasa) can strengthen health, but when the digestion is weak or unwholesome food is eaten it will cause disease. The balance of the five elements and their coordinator are taken into account by Chinese medicine and general Āyurvedic doṣa analysis. 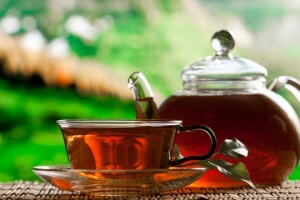 Diseases caused by these sources need herbs and proper diet. But the genetic predisposition of an individual can also create certain diseases. Some disease is caused by the nature of who we are (svabhāva). Just as fire is hot, some people live a fast life with little sleep while others live a lazy life with little exercise. Here an individual learns practises that compensate or balance the nature of who they are. Some diseases are the result of present and past life actions (karma). They require donation and service (seva) to counteract the negative karma creating suffering and disease in the present. Time is taught as a source of human beings and disease, but here Time means much more than the time on a clock or the effects of a season. Time is defined as change, and the first change was when Prakṛti separated from Puruṣa. Time is the initial urge (force) that pushed forth all creation. All things continue to change because of Time. There are healthy and happy times in one’s life as well as times of suffering and disease. When Time is the source of disease, then patience is the best medicine used along with prayer/mantra and rituals/pūjā to mitigate the time period. There are other components that create who we are and disease, which are not mentioned here, as this is not a final list. It is indicative of the more popular ideologies at the time of the gathering. All these various sources require a treatment based upon their source. If we are blinded by our modality to see only our way of treatment, then we can fail our patient. Understanding the sources of disease, and integrating therapies to work on the level of manifestation of disorder as well as the root is the greatest healing that can be offered.